USDJPY is still fluctuating within a certain range since yesterday. The support rests at 100.370 with resistance at 100.590 which both lines are below the monthly pivot point at 103.870. The EMA of 10 is moving horizontally and it is located below EMA of 100. 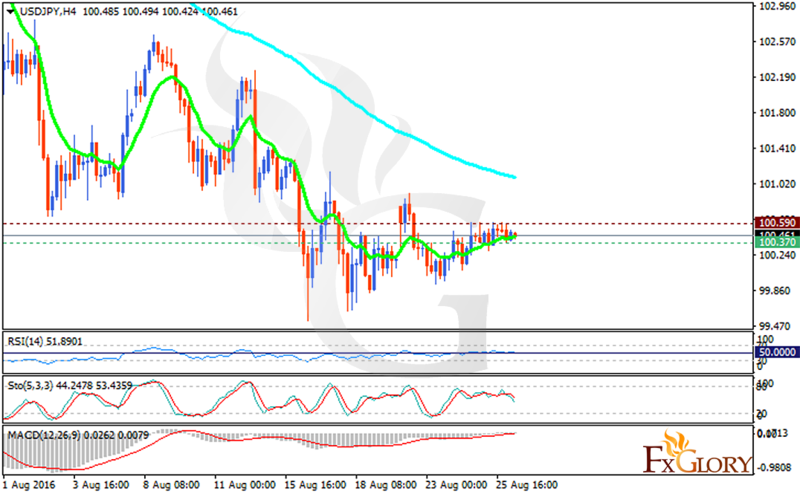 The RSI is moving above the 50 level, the Stochastic is showing downward momentum and the MACD indicator is in neutral territory. The pair is going to continue its fluctuation for today as well. Traders can give this pair a rest.